We carry truck tonneaus for Chevy, GMC, RAM, Ford, Toyota, Nissan, and Honda. If you have questions about tonneau covers, Jeep tops, or if you are looking for a specific brand, please give us a call at the shop: Call 616-920-7976. 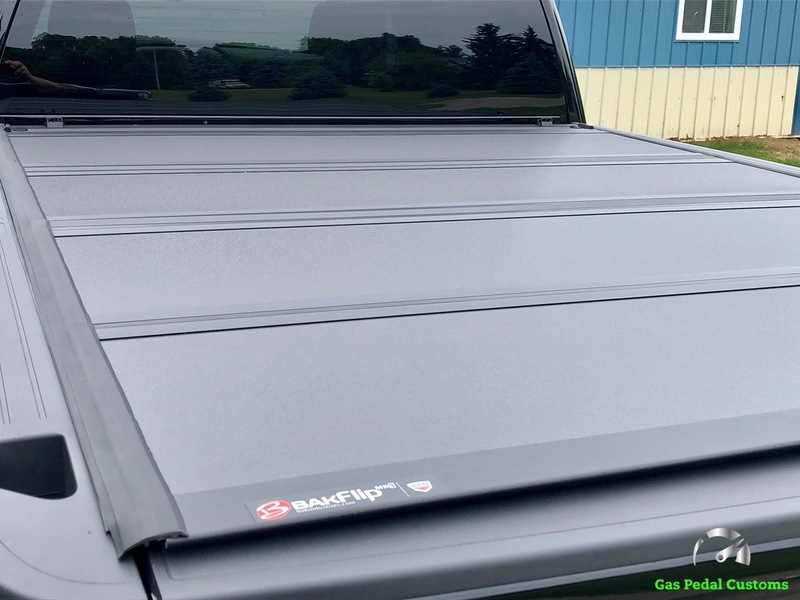 BAK trifold hard tonneau cover on a 2018 GMC 2500 HD.